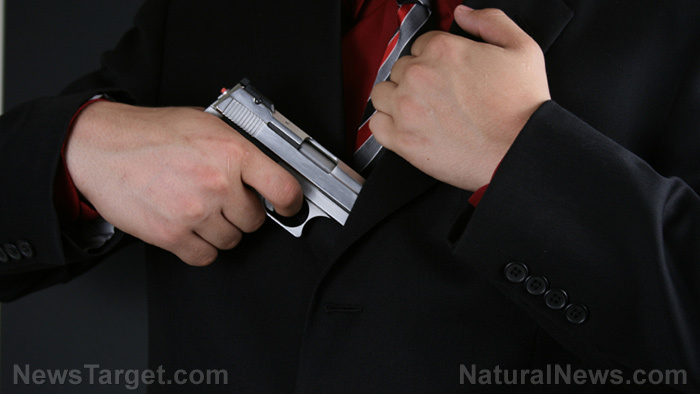 (Natural News) The Second Amendment, which supposedly ‘guarantees’ Americans an unfettered “right to keep and bear arms” anywhere in the country, is by far the most restricted of all constitutional rights. While there are some limitations on speech, for instance — you can’t yell “Fire!” in a crowded theater or slander someone — restrictions on gun ownership and use far outnumber those on speech, assembly and religious expression. But thanks to Republicans in the House, the right of Americans to engage in self-defense with a firearm took a major step forward this week. On Wednesday, lawmakers passed the Concealed Carry National Reciprocity Act of 2017 by a margin of 231-198, with its chief sponsor, Rep. Richard Hudson, R-N.C., hailing it as an early Christmas gift to gun rights advocates, the Washington Free Beacon reported. “For the millions of law-abiding citizens who lawfully carry concealed to protect themselves, for conservatives who want to strengthen our Second Amendment rights, and for the overwhelming majority of Americans who support concealed carry reciprocity, Christmas came early,” he said. As usual, gun control groups decried the legislation as inherently “dangerous,” claiming — as they always do, without evidence and proof to back it up — that the bill, if signed into law, will cause mayhem, chaos, and gunfights in the street. She was referencing the Texas church shooting and the mass murder in Las Vegas, the latter of which Americans still remain in the dark about regarding killer Stephen Paddock’s motive. Some say Giffords has every reason to oppose guns because she was shot by a deranged Leftist during a political event she was attending. But not lawmakers who have been shot share her desire to neuter a constitutional right. House Majority Whip Steve Scalise, R-La., who was nearly killed by a deranged Leftist when he was shot during softball practice in the spring, feels even more strongly about supporting gun rights following his harrowing incident. Like other House Republicans, Scalise said lawmakers ought to be more focused on supporting victims and law enforcement than advocating more gun control legislation. “Because first of all, you’ve got to recognize when there’s a tragedy like this, the first thing we should be thinking about is praying for the people who were injured and doing whatever we can to help them, to help law enforcement. We shouldn’t first be thinking of promoting our political agenda,” he said. The framers of our Constitution would agree, which is apparent since they saw the “right to keep and bear arms” as the second-most important “inalienable” right of all humans — that of self-defense, against those who seek us harm and an overreaching central government. Kentucky prosecutor looking into criminal charges against lunatic Leftists who made threats against Covington students — isn’t it time to arm teachers?